In a previous video, you learned how to dry roses, and last week you learned how to preserve leaves using glycerin. This week, David Clark, horticulturist, shows us how to pull those elements together by making a hand-tied bouquet. It’s easy once you see how it’s done! You can get more great tips from Clark during a series of upcoming workshops that have been organized as part of the 125th anniversary celebration of Blessed Sacrament Church in Buffalo. 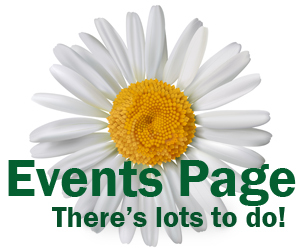 February 27: Preserving Flowers & Foliage and Making Potpourri. You will learn how to preserve flowers and make potpourri. You will leave with potpourri made in the workshop. 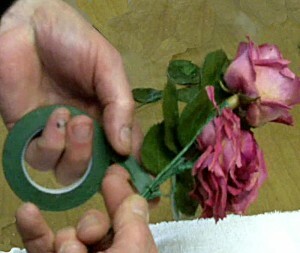 March 6: Hand-tying Flowers. You will learn the technique of a hand-tied floral bouquet to be displayed in a glass vase. March 20, Garden Magic: Spring Blossoms to Summer Blooms. 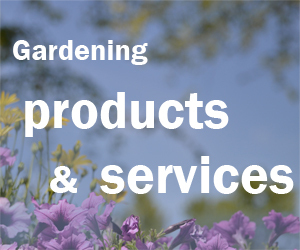 Get tips on garden ecology – managing the systems in a home landscape. The sessions will be held from 6:30-8:30 p.m. in the gymnasium of the Catholic Academy of West Buffalo, 1069 Delaware Avenue, Buffalo. Free parking is available in the school parking lot. Tickets are being sold as a package for all three sessions, and the cost is $60 for non-parishioners or $40 for parishioners for the package. Advanced registration is required. For more information or for tickets, contact Michael Pitek at 716-816-0144 or michael@thepitekgroup.com. See the video on how to hand tie a bouquet below. He really is a great teacher for floral arrangements. Thank you Donna! I love the florist trade, and enjoy sharing my tips and techniques! Nice video Connie – Love it!